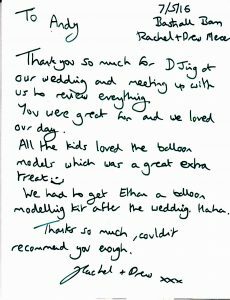 A pleasure to be involved in Mr & Mrs Mercer’s Big Day at Bashall Barn (on the outskirts of Clitheroe). Quite the unique rural wedding venue in the heart of the Ribble Valley. 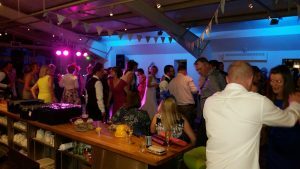 They had booked the North West’s favourite wedding singer, Mr Paul Guard, to perform throughout the wedding breakfast, host the daytime proceedings & a set in the early evening which included singing the first dance live. 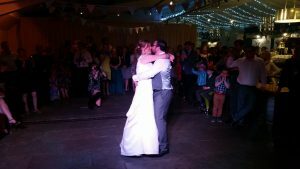 After Paul’s set, it was time for our popular wedding DJ Andy B to get the party started! Top night had by all! Congratulations Rachel & Drew! As a guide, prices start from £250.